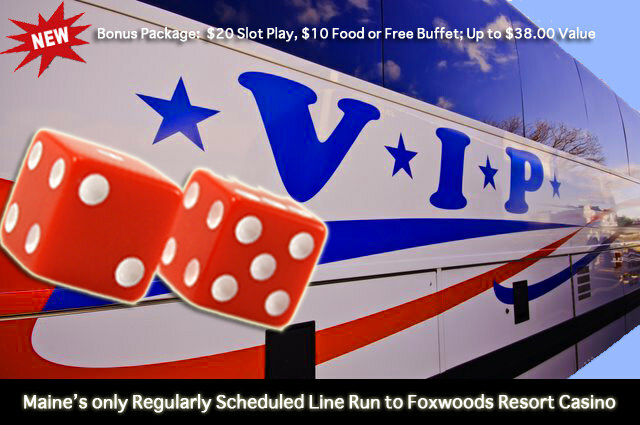 Ride the VIP Casino Express to Ledyard, CT for a day of fun at Foxwoods Resort Casino. Use the blue box to the right to make your reservation. Upon making a reservation, you will receive a confirmation email. Your driver will have your name on a reservation list on your scheduled travel date. BONUS PACKAGE: $20.00 Slot Play, Free Festival Buffet or $10.00 Food Credit. When you click on the DATE field, it will display a calendar that highlights the dates we are running are in BOLD.